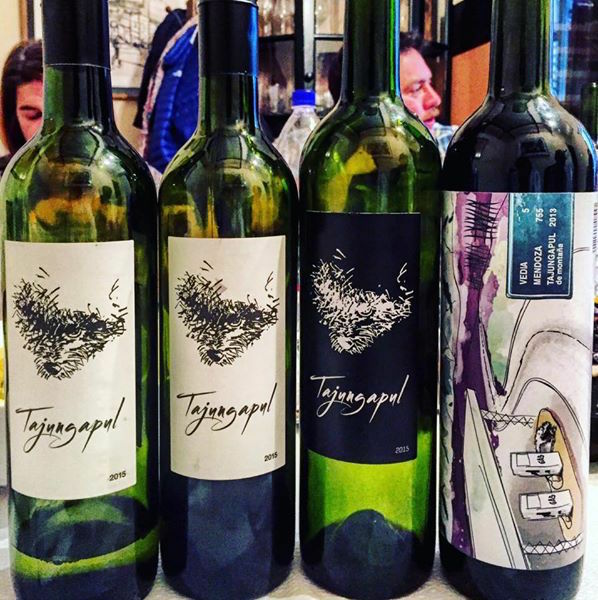 NEW RELEASES: Tajungapul Wines (tr. back slang of juntapulga or mutt in Argentine Spanish) comes in four shades: white, red, Petit Verdot and five-grape red blend. Tajungapul – tongue twister and palate pleaser. While the team has rescued these mongrel wines – that had already been made and were simply not selling – and given them a new lease of life, the plan is to work with Giuseppe ‘El Tano’ Franceschini from the glorious Bacán Vinos and La Giostra del Vino on 2016 vintages. I loved the white, as it has enough acidity to hold its own as an aperitif yet sufficient body to work with seafood or a light pasta. I imagine Vieda, the mysterious five graper, is all about Bordeaux babies – it had plenty of depth and fruit. And the label? It’s given a home to a loveable tajungapul.